Your local painting experts also provide power washing services. 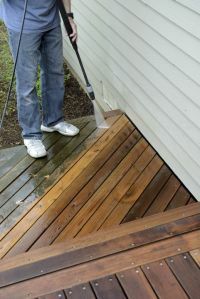 Makes sense; we use powerful pressure washing machines to prepare exterior surfaces, such as homes and decks, for painting. Let us use this same commercial grade equipment to pressure wash your home exterior, driveway, patio sidewalk or commercial property. Since 1987, Amazing Detailed Interiors has been providing the right pressure and detergent required for each job, whether pressure cleaning siding and trim or walkways and driveways. Your home or business is in good hands with Amazing Detailed Interiors's experienced pressure washers! Priced just right, Amazing Detailed Interiors's pressure washing estimates are always competitive and pricing is in line with what you would expect to pay for a quality job. Find out today how affordable Amazing Detailed Interiors's pressure washing services actually are. Hour home's exterior, sidewalks and patio can be looking great again, and a fair price. Call for a free pressure washing quote at (646) 680-0087. Amazing Detailed Interiors guarantees that you will be satisfied with the pressure washing service. Each job will be completed to your specifications. We pride ourselves in going the extra mile to make sure you are not only satisfied, but genuinely pleased with the result! Our technicians have years of experience and can make your house exterior, deck, or building sparkling clean again. Whether your exterior is wood, vinyl, stucco, or brick; dirt and mildew will stick to it. Professional power washing will remove this unwelcome film and restore your property back to its clean appearance.